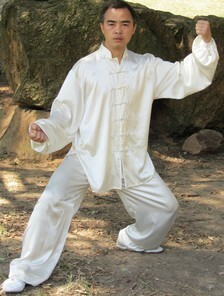 Yang & Chen Tai Chi Introduction - The China Taichi Guide is a Directory of Tai Chi Schools & Tai Chi Teachers in China. The Martial Art Traditions in China have evolved into an amazing diversity of sophisticated art forms over the last thousand years. 1) Those using Internal Energy or Qi as the primary source of power for movement. 2) Those using External Energy i.e. muscle power. The purpose of this website is to promote the Internal Martial Arts. Of these Tai Chi is the most widespread and as such is the foundation of this website, though I hope to include more on the other arts in the future. There are differing opinions as to the historical foundations of Tai Chi but it seems likely that Chen Tai Chi was the original Tai Chi. 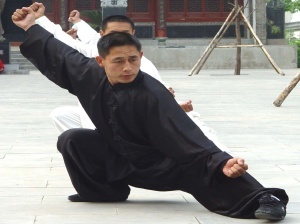 Other theories favour Zhang San Feng and Wudang Kungfu but there is no historical evidence for this. 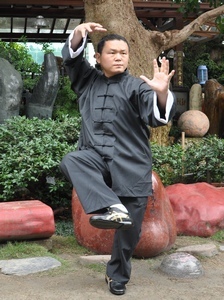 Chen Wang Ting, by combining his knowledge of the Yin / Yang, Chinese Medicine Qi theory, 'Tu Na' (Exchanging Dirty Qi for Clean Qi) and Internal Qi Gong with the Chen family Kungfu, was able to create a new martial art form - Tai Chi Chuan. 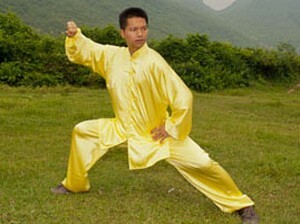 Yang Style Tai Chi was originally created by Yang Lu Chan. 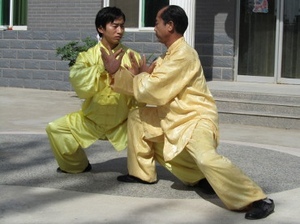 Traditionally Chen Tai Chi was only passed on to family members but Yang Lu Chan worked as a servant for Chen Chang Xing and eventually received teaching from him. Yang Lu Chan later had contact with other martial arts including Baguazhang and his own personal style evolved forming the framework for Yang Tai Chi. 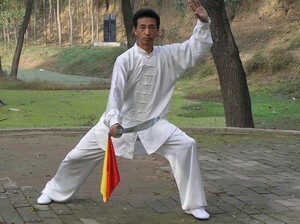 Wu (Hao), Wu (Small Circle) & Sun Tai Chi were created by exceptionally high level practitioners whose personal styles evolved unique qualities which differentiated them from Yang Lu Chan's form. They are much less widespread than Yang Style but this in no way implies that they are not worth learning if you can find a good teacher. In fact the opposite may well be true, these styles were re-influenced by Chen Xiao Jia, the small circle Chen form and may well be superior to most Yang style Tai Chi now available. Ultimately the style of Tai Chi practised is not important, all good Tai Chi follows the internal energy movement and is the same. What is important is the quality of the Tai Chi. Practiced at the highest level, Qi enters the body through the feet and rises up to the 'dan tian' or abdominal area. This may sometimes be imperceptible to the casual observer, but for the practitioner it generates a strong feeling of Qi moving in the body. The shifting weight causes the 'Dan Tian' to twist and turn which then moves the rest of the body around it in relaxed, circles and spirals without the use of muscular assistance. The highest level practitioner learns not to force the movement either with conventional muscle action or with consciously controlled power from the abdominal dantian. Instead the movement comes naturally by itself powered by the soft Qi rising up through the feet. The feeling is gentle and comfortable. In the beginning it is weak but as the body becomes more sung, it becomes very strong, in a quiet way. The Tai Chi simply happens and you watch. The China Taichi Guide : Yang Tai Chi & Chen Tai Chi Introduction - A brief history and discussion on Yang & Chen Tai Chi and the later styles: Wu, Wu(Hao) & Sun Tai Chi.